With over ten years experience working for some of the biggest laptop manufacturers in the world, I can fix your laptop no matter what the problem is. In most situations the problem is quite simple, but sometimes a hardware issue is the case. All of these problems can be fixed. Most of the simple repairs can be done in the same day. If any hardware needs to be replaced, we can order the parts at a cost effective price and install them usually within two working days. We also replace laptop keyboards. We can repair or replace your broken or damaged laptop keyboard at a fraction of the cost of replacing the laptop itself. 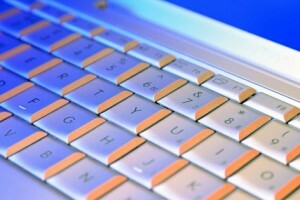 Often the laptop keyboard is damaged by rough handling and will need to be replaced. We can also in some cases repair a laptop that has had liquid spilled on it. As long as the liquid hasn’t damaged the sensitive micro-circuits of the laptop… We can fix it. We are located on Brisbane’s Southside and can do mobile services to the local area. Alternatively you can bring your laptop to us and we will repair it at the workshop. We service and repair all laptop makes and models including Apple. We also have an electrical engineer available for serious issues. We also replace motherboards in laptops.